Keys are more than tools for unlocking doors. For Justin Marsh of Goat & Kettle, they're also pieces of Americana that deserve more than a purgatory of dusty drawers. 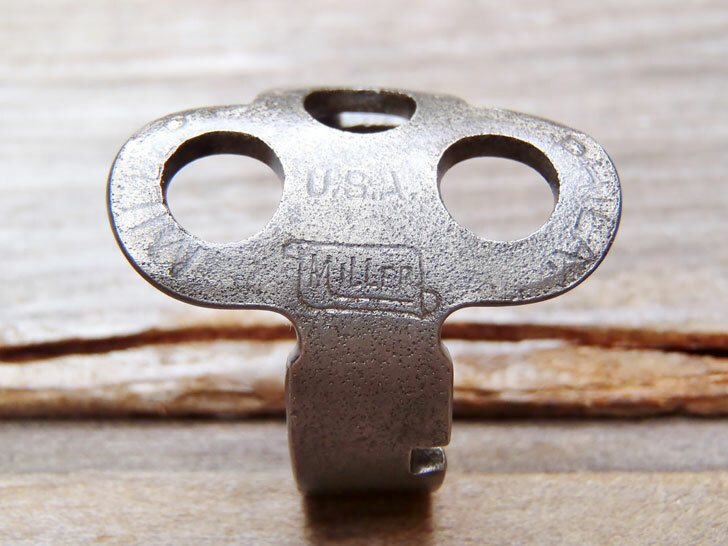 On his patio in Santa Monica, Marsh refashions antique keys into one-of-a-kind rings. "The keys we use almost always come from American companies that started in the early to mid 1800s," he writes on Martha Stewart's "American Made" contest site, where he's listed as an entrant. "Some even have patent dates, people's names, addresses, or just basic company information that helps us date and identify where and when each one was likely made and for what it was originally used. Whether it's a padlock, cash register, cabinet, safe, antique car, or trunk key, each one has its own unique look and history, and we try to discover and communicate that story for every ring, whenever and wherever we can."